When you live along the coast, you can fish, or you can fish, or you can fish. Not very creative, I know. But in Minagas Este in Buguey, the fisherfolk are a lot smarter. 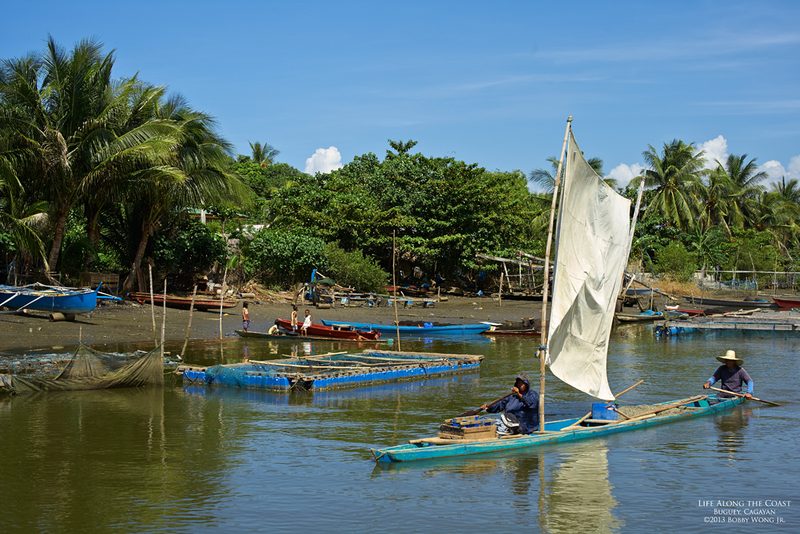 They catch fish, shrimps, and crabs, but use floating cages to fatten them before they are brought to market. It's like making more seafood than what they caught. And those two dudes on the sailboat... they're transporting sand hauled from a nearby mining site. The sand will be used as landfill to reclaim land from the sea, it's like making more land than what they originally had. I told you they're smart. Enjoy.